My Color Book is perfect for teaching colors and the sight words "what" and "is." Download includes both color copy and b/w copy. 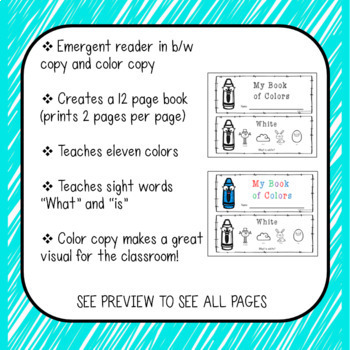 The color copy can be used to make a cute bulletin board to display colors in your classroom! The book is 12 pages (printed 2 pages per page) and teaches 11 colors. 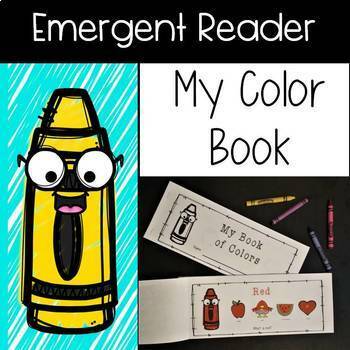 Each page contains 5 images that students color to match the color word/sentence on the page. See preview to view all pages included in the download. Feedback is greatly appreciated and gives you credit towards future TPT purchases!